The January 1942 slaying of Yoshiyuki Uno was largely forgotten until writer and historian Stewart Muir brought this tragic story back to life with new findings, published in a Vancouver Sun series in 2013 titled Merciful Injustice. Janet Nicol subsequently provided another perspective in her article “After Pearl Harbor” (BC History, 2014). Join Stewart and Janet as they discuss their research with author Susan Aihoshi, as she embarks on a book-length treatment of the Uno story. This event is for people interested in the city’s hidden histories as well as those who may have additional perspectives that could aid Susan in developing her project. 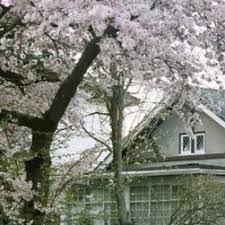 About the Kogawa House, according to the website: Located in the Marpole neighbourhood of Vancouver, Historic Joy Kogawa House was once the childhood home of acclaimed author Joy Kogawa and her family. Today, the property is a unique live/work space for writers, a space for public events, and an ongoing symbol of the racial discrimination experienced by Japanese Canadians as a consequence of the Second World War.